What Planned Parenthood does, what it always has done, has finally been exposed… Planned Parenthood is waging a war on infants. This is an organization that exists to kill babies. It is an abortion mill. A few years back, I used this term – “abortion mill” – and got slandered by the TV and liberal media. When I ran for office, Planned Parenthood spent over $500,000 to defeat me… because I spoke the truth. And now we find that Planned Parenthood has taken its slaughter to a new level of evil – selling the intact organs of aborted human babies to the highest bidder. They are an organization that thrives from killing innocent and voiceless human victims and then trafficking their remains for research. The money it receives for these infants’ body parts is blood money. The public is morally outraged by this discovery. The videos that the pro-life Center for Medical Progress (CMP) has released – where CMP posed as buyers of fetal organs during lunch with top Planned Parenthood executives – have gone viral. Over their lunch, Dr. Deborah Nucatola – Planned Parenthood’s Senior Director of Medical Services – detailed the business of selling the organs of aborted babies, including the exact techniques used to kill the baby so that the organs remain intact and useful. CMP also released a second video with Dr. Mary Gatter, President of Planned Parenthood’s Medical Directors’ Council. (1) “Tissue donation” is common. First of all, it’s not just tissue – it’s viable ORGANS of small, but fully formed human babies that we’re talking about. Yet, given the opportunity to sell this “tissue,” they carefully ensure that the abortion will keep it intact – knowing FULL WELL that it is not tissue but viable, human baby organs that they are harvesting. Let’s estimate how much Planned Parenthood could make off selling these organs. It reports that it performs 327,653 abortions a year. Given Dr. Nucatola’s price range for babies’ organs ($30-$100), and Dr. Gatter’s estimation that 60% to 70% of mothers would agree to have their babies’ body parts “donated,” Planned Parenthood could be making anywhere between $5.8 and $22 million annually from selling aborted babies’ organs. Planned Parenthood was caught SELLING aborted babies’ organs. (2) Planned Parenthood states that “anti-abortion” advocates are again “making claims with no basis in reality and no evidence to back them up,” and the tape was “heavily edited”. A two hour and 42 minute video, and a second video just released – each with a top executive of Planned Parenthood – is strong evidence that cannot be ignored. Also, CMP has released the full recording and transcript. And, no matter what cuts CMP made to present a shorter version, they did not put those heinous words into Dr. Nucatola or Dr. Gatter’s mouths. If Planned Parenthood is innocent, they should be more than willing to show documented evidence that they have never received profits for “tissue donations.” And since Planned Parenthood is given half a billion taxpayer dollars annually, taxpayers have the right to demand an audit of Planned Parenthood’s financial transactions with full transparency. I guarantee it would make you sick. 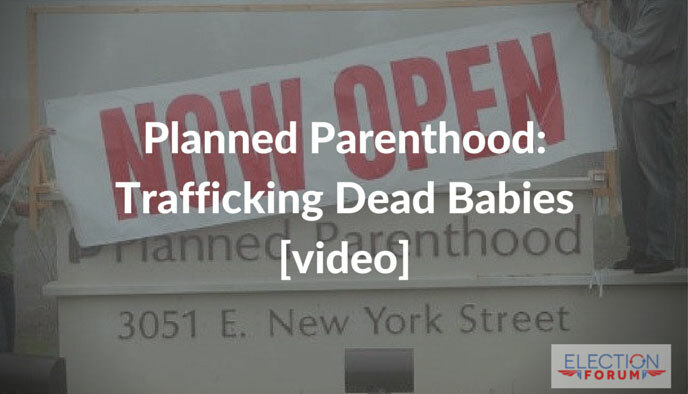 But this isn’t the first video to expose Planned Parenthood’s dark, evil, underhanded dealings. 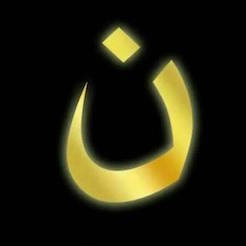 Any organization that commits such evil must abound with deception and lies. Congress has called for an investigation into this matter. It is also possible that Planned Parenthood is guilty of performing illegal partial-birth abortions, since this would make it much easier to get intact organs. But, legally, they may untouchable. But this discovery isn’t horrific because Planned Parenthood may be acting illegally. It’s horrific because Planned Parenthood’s actions are a moral abomination, whether or not they are legal. The big objective, which almost all Republican presidential candidates are calling for, is to defund Planned Parenthood. We must stop the half a billion taxpayer dollars given annually to support this abortion mill. Planned Parenthood has already tried to dehumanize the unborn baby completely, in order to convince people that abortion is okay. Trying to convince people that abortion is not cold-blooded murder. Now, Planned Parenthood has dehumanized the unborn baby even further. Harvesting aborted infants’ body parts is a horror like that of the Holocaust’s concentration camps, where the Nazis saved the Jews’ shoes, hair, even pulled out their gold teeth, before sending them to the gas chambers – valuing these objects more than the human beings that they belonged to. By selling aborted babies’ organs, Planned Parenthood is saying that a dead baby’s parts are worth more than the baby is alive. Here’s a video on the scandal, here. And another, here. Watch presidential candidate Mike Huckabee on the issue, here. And watch Tony Perkins, president of the Family Research Council, here.